Why Fall is the best season of the year to buy a new house? 1. Old Inventory could mean better deals: Sellers tend to put their homes on the market during spring and the beginning of summer, often listing their homes too high right out of the gate. This could result in price reductions throughout the spring and summer months. 2.Less Competition: Families who want to be in a new home by the beginning of the school season are no longer shopping at this point. That translates into less competition and more opportunities for buyers. 3.Sellers are looking to close all deals by the end of the year: Buying a home is an investment with tax consequences, and home seller may want to take advantage of a gain or loss during this tax year, so you might find homeowners looking to make deals, so they can close before December 31. 4.The holidays around the corner motivates sellers to offer better deals. As the Holidays approach, sellers are motivated to close and move as many properties as possible. if a home has not sold by November, the seller is likely motivated to be done with the disruptions caused by listing a home for sale. 5.Home Improvement bargains: Once you close on that home you found in the fall, you may want to upgrade your appliances. Luckily, December is when major appliances, refrigerators, stoves, washers, and dryers are at their very cheapest, according to Consumer Reports. It’s also the best time of year to buy cookware and TVs. Buying your first home shouldn’t be a chore. Sure, it can be a challenge and sometimes test your temper. But, at the end of the day, you’ll have a place to call all your own! So, if you are thinking about buying a new home, let me be your partner and help you find your dream house. My extensive knowledge of El Paso’s residential real estate market is unparalleled. Clients choose to work with me for my full-service approach, ethics, experience and expertise. Despite this highly competitive real estate environment in El Paso, I’ve had a stellar performance year after year for over 32 years. My roster of repeat buyers and valued clients are some of El Paso’s most influential individuals, developers and institutions. Why buying a house in El Paso during the summer could be your best option? It’s starting to warm up In El Paso, the sun is high and hot and so is the competition for buying a home. If you are thinking about buying a home this summer, you just need to find your perfect agent. 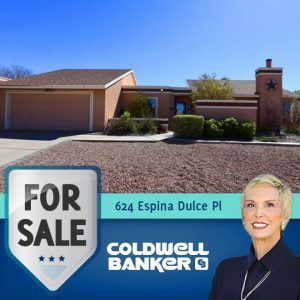 With over 32 years of experience, my extensive knowledge of El Paso’s residential real estate market is unparalleled, despite this highly competitive real estate market I’ve shown the ability to satisfy my clients needs in the buying and selling process. But before you start any serious consideration about buying a home, let me share with you some tips and market facts to help you get the most out of this summer housing market. We are expecting that the housing market will be strong this summer, existing home sales and list prices have risen in 2018, and starter home inventory has drop by 14 %. Summers is not the craziest season to buy a home but it’s definitely a busy home-buying season, one of the advantages of buying during summer is that prices normally drop from May through October. So, there is a huge possibility that you could find a great deal. 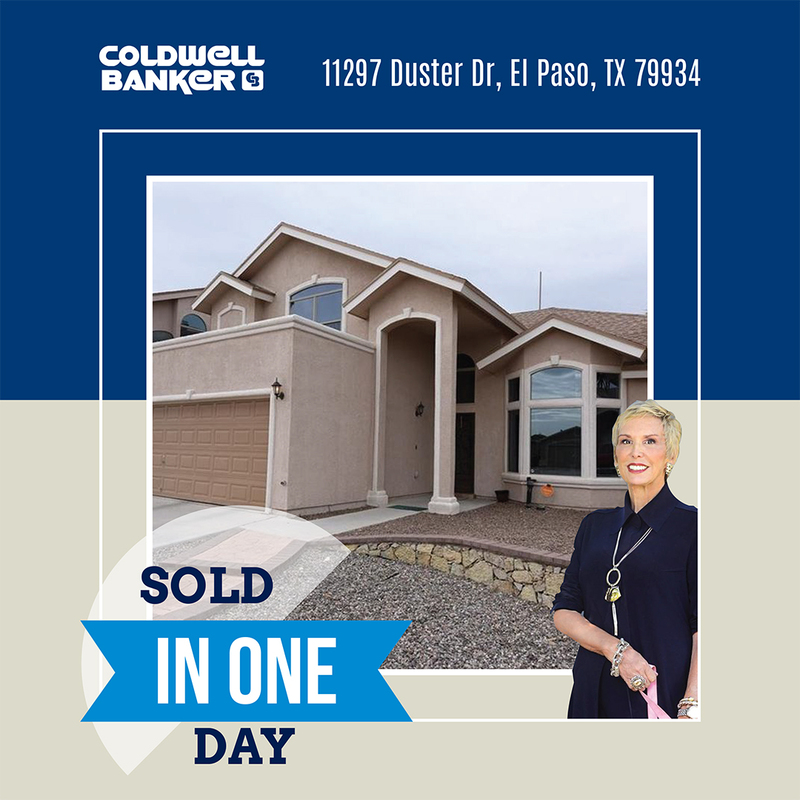 In real estate markets like El Paso there is are a lot of inventory available for sale that can give you more leverage for a negotiation and peace of mind knowing that another home will be just around the corner waiting for you. You should try to get to know the neighborhood, take the proper time to do some research about the community and neighborhood before making any offer. If a home that fits your needs and expectations is available, it’s really tempting to make an offer but if it’s not the right community or neighborhood, you may never end up feeling at home in your house. Once you finally find your dream house, make the strongest offer you can make even if it’s not the highest. The strongest offer might not always the highest one but is the best you can do. Buying and selling at the same time can be easier, if you need to sell your home before buying another, you will likely have an easier time with the balancing act during the summer. Rather than getting trapped with two mortgages, you could have a more seamless transition in a busier market. Kids are out of school buying a house and moving in the summer is a much easier transition if you have a family you can minimize disruption to your kids live. Now, you know that if you can stand the heat of a little competition plus my expertise we will make our way into the marketplace during housing’s hottest season. I realize what an important decision it is when choosing a real estate professional. After all, this is likely the biggest purchase or sale you will make in your entire life. I take that responsibility very seriously. Beyond the significant financial issues, the rest is about your happiness and quality of life. If you choose me to represent you in your real estate aspirations, you can count on my dedication to serve your best interests each and every day through the process. 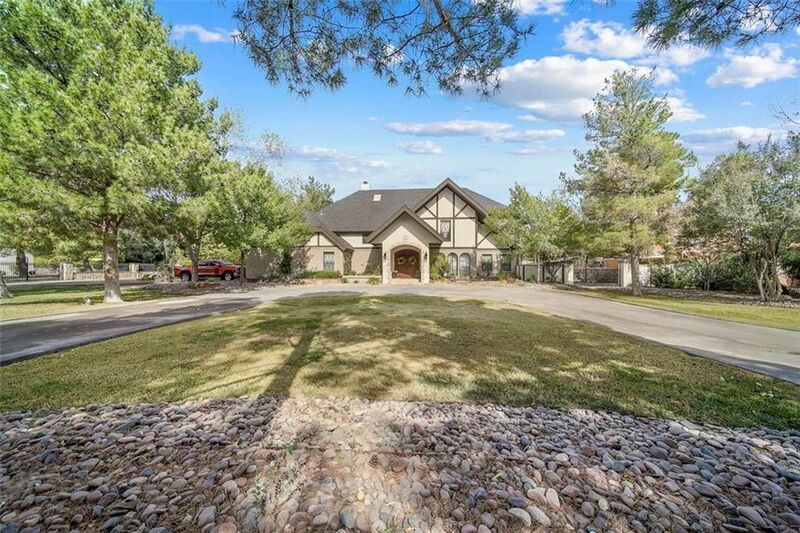 Contact me and Let me help you find your dream house in El Paso, Texas. Thinking about buying a new home in El Paso, Texas? The process of buying a new house can be really scary, full of stress and frustration for some people. That’s the way it should be when you are about to make the most important financial decision of your life. But you definitely don’t have to go thru this by yourself. Let me share with you a few tips that would make this process a fun experience. • Check your credit: Paying your bills on time every month doesn’t mean you have excellent credit. The credit utilization ratio is the amount of credit you’re using compared with your available credit and it can hurt or help your overall credit score. Ideally, homebuyers should have a lot of credit available, with a less than a third of it used. • Hire a Realtor: Having the right realtor for you involved since the very beginning will save you time, energy and the best part is that you as a home buyer does not pay the agents commission, the agent earns the commission from the seller side of the transaction. • Get pre-approved for mortgage: one of the most common mistake that people often make is focusing on the total price of the home they can afford instead of the monthly payment they will be making. It is crucial that you work with your advisor to understand how your down payment amount, credit, and the current mortgage rate affect your monthly payment. Many sellers require a prequalification letter before submitting an offer on a home and you don’t want to find the perfect home and then be stuck running around trying to qualify while someone else gets your dream home. • Decide to buy: When selecting a home, make sure it’s a home that YOU really want. There are many options on the market, so you owe it to yourself to ask yourself the question, “Do I love this home? ?” if you feel comfortable with the payment, love the location and will feel proud to make this house a home, then take the leap and don’t look back. When you find a house that truly interests you, don’t wait to make an offer. Buying in a tight housing market presents a unique set of challenges. Regardless of how long a house has been on the market, it is one offer away from going under contract. My extensive knowledge of El Paso’s residential real estate market is unparalleled. Clients choose to work with me for my full-service approach, ethics, experience and expertise. Despite this highly competitive real estate environment in El Paso, I’ve had a stellar performance year after year for over 32 years. My roster of repeat buyers and valued clients are some of El Paso’s most influential individuals, developers and institutions. We know that a person cannot live isolated from society and when you move to a new colony, it is necessary to establish a good relationship with your neighbors. Good neighbors can create bonds of trust and friendship, often they will be the ones who help you in some problem. As easy or difficult as it is to live together with you and your neighbors, we give you some tips to promote respect, peace and an environment of tolerance. After all, you are sharing a common place with them. Before establishing a dialogue with anyone, observe how they behave. What communication channels they use and how they do it, if there are friendships or enmities and maybe how long they have been living in the property. Knowing your neighbors a bit more, you will know how to approach them and establish a dialogue. Of course, is your house or apartment and you can listen to music, watch movies with a sophisticated sound system, make the parties you want or set up a ballroom in the middle of your room but, your neighbors are also entitled to rest at night, to have tranquility and an atmosphere of peace around them. When you think that you will disturb the order a bit, talk to them and let them know what you have planned to do before. Children in the house should be explained what it means to live in a community and the importance of respecting common areas: teaching where to play or not, or why it is important not to shout at certain times. Having a pet is very valid, but remember that you are in charge of a living being that needs attention and care; In addition, the pets end up being part of the neighborhood coexistence. To avoid complaints of odors, clean your home, take your pet to walk with his leash to incite bad faces, collect their waste and teach to make as little noise as possible. Should I Go to an Open House? There are a few good reasons to attend an open house, as nearly half of buyers do. The biggest benefit is that you can learn from the crowd. Pop in during the last hour and check the sign-in sheet for the number of visitors; a throng indicates a competitive market. Plus, curious neighbors often drop by, so it’s a great opportunity to ask questions about the community. “An open house is the ideal way to determine where you want to be and start gauging area prices,” observes St. Louis agent Carrie Nenonen. And if you actually like the place, nothing beats kicking the tires in person. Check the water pressure, peek inside the closets, look in the basement. Dig beyond listing data—ask the agent on duty about the home’s sale history and any past renovations. A word of caution: The agent running the open house works for the seller, so be careful not to disclose too much about your budget or how you feel about the place. Be clear about your intentions; if you’re not a serious buyer, say so. On the other hand, if you already have an agent representing you, write his or her contact information on the sign-in sheet for follow-up. Finding a new home can be a fascinating and challenging experience. It is important to have a real estate agent who takes the time to understand your personal needs and lifestyle. The decision to buy your first home is one of the best and most important decisions you will make in your life. After all, a home is the most important (and most emotional) investment of life for most people. When looking for a real estate agent to help you, know that good agents put their clients first and foremost. This is your dream and your agent is your partner to help you make this dream come true. Ultimately, the lender will grant you pre-approval for a specific amount, but YOU decide how much you can comfortably pay each month. Remember, the lender only sees your financial situation on paper. The decision of how much you are willing to adjust your budget to have the house of your dreams is yours. You have already obtained prior approval and are ready to begin the search. But, how or where to start? There is a large supply of properties and immersing yourself in this without any guidance can be overwhelming and confusing. A good agent will help you more accurately identify the properties that fit your criteria. The right home should meet all your important needs and as many other desires as possible. Once you have found a house that you love, the next step is to make an attractive offer. While it is likely that when you find a house that loves the emotions are going to be on the surface, it is important to remember that a house is an investment. Your agent will look for similar properties in the neighborhood to help you determine the market value, and a fair price, for your property. Use your agent to inform and guide you throughout the bidding process. Once you have made your offer and completed the inspection process, you will enter the final straight! In order to make sure you do not put your closing date or mortgage at risk, you should be aware of some pre-closing responsibilities. Congratulations and welcome home! He completed the process of buying a house, but as with any important process, there is a maintenance plan! Now it is your responsibility, and the most convenient from the economic point of view, to protect your investment in the years to come. Performing routine maintenance on the systems of your home is always cheaper than solving more important problems later. Be sure to look for signs of leaks, such as water or gas, damage and wear. And remember, your relationship with your agent does not have to end simply because the sale has been completed. After the closing your agent can still help you, for example, with information for your income tax returns, to look for contractors and repair services and even to follow the updated value of your property in the market. Gone are the times when nationwide programs allowed for the zero-down loan, the federal home buyer tax credit, and the use of tax credit funds toward down payment and closing cost requirements. The best programs of this sort are now largely operated by local governments—primarily cities and counties—and the rules for qualifying vary. Some are exclusively for buyers with low or moderate incomes; others are dedicated to helping first-time home buyers. Many of these programs have a limited pool of funds that may run out over the course of the fiscal or calendar year, and almost all of them require buyers to jump through some hoops, such as completing homeowner education classes or choosing a home that meets specified criteria. 2. Hit up your relatives. Most mortgage programs will allow for some portion of your down payment to come in the form of “gift money, “which is exactly what it sounds like: money someone gives you to help you buy a home. While gift money may sound great, be aware that taking gift money from a relative can create relationship issues or come with emotional strings attached. Plus, lenders frequently require that gift money be accompanied by a letter that clearly states the money is a gift, not a loan. The lender may also want to see a bank account statement from the giver, proving that the money was theirs to give. Universities and municipal departments that employ first responders such as police and firefighters frequently make down payment and other home-buying assistance programs available to staffers. Large employers or even smaller companies seeking to lure top-level recruits do something similar: relocation assistance programs. Check in with human resources to explore whether any such assistance is available—and if you happen to find yourself a hot prospect on the job market, consider trying to negotiate relocation or down payment assistance into your offer package. Get gut-level real with yourself about what’s truly important to you. If the answer is buying a home, then it’s time to examine your spending and look for leakage that you can redirect to your down payment savings. If you spend $20 a workday on a morning coffee and bagel and a takeout lunch, that’s at least $400 per month—almost $5,000 a year you could be saving. And those numbers are not inflated to reflect big-city prices. Nor is the $100-a-month cable bill, the $15 yoga class, or the $2,000 vacation. There are situations in which it may make sense to borrow a few thousand dollars from your 401(k) or IRA. Some retirement accounts allow you to borrow against or pull out funds, penalty-free, to apply them toward your down payment on a home. Is it advisable for everyone, in every situation, to deplete their 401(k) or IRA to plug that cash into a house? Absolutely not. Adam Pacheco, the El Paso director of Associated General Contractors, isn’t complaining about the El Paso economy these days – not at all. By far, the majority of work is publicly financed – the city quality of life bond projects, highway construction and a new building under construction at Texas Tech University Health Sciences Center to name a few projects. But, Pacheco said, there’s nothing wrong with that because private investment comes right behind it. Mayor Dee Margo, addressing contractors, local officials and others at an Associated General Contractors meeting Thursday, touted the addition of about 4,500 jobs this year, including 1,690 professionals and 1,200 leisure and hospitality workers. The city’s unemployment rate dropped slightly to 4.9 percent, just above the state rate. Margo also noted that El Paso is second in job growth in Texas at 3.3 percent, behind the Dallas metropolitan area, which is at 3.6 percent. But, he said, 70 percent of the city’s tax base is based on single-family homes, which contributed to an anemic 1.4 percent increase in the city’s property tax base this year – the smallest increase among the state’s major cities. “And, that is the problem,” he said, because a growing city with growing demands needs a growing housing market along with stronger industrial and commercial sectors to help with the burden. Looking at the city’s continuing work on quality of life projects, the start of construction on the El Paso Independent School District’s $669 million in bond projects next year along with the Ysleta school district’s projects, Pacheco said the construction boom goes over the horizon. “The future for the next 10 years looks pretty good,” Pacheco said. The work is attracting out-of-town companies, he said. But as yet, he hasn’t seen signs that El Paso contractors are having a hard time keeping up.